Throw a Super Bowl Chili Cook-Off! Bring It! Super Bowl Sunday is the perfect time for a chili cook-off! Tell your friends you are throwing down the challenge: Bring Your A-Game Chili! 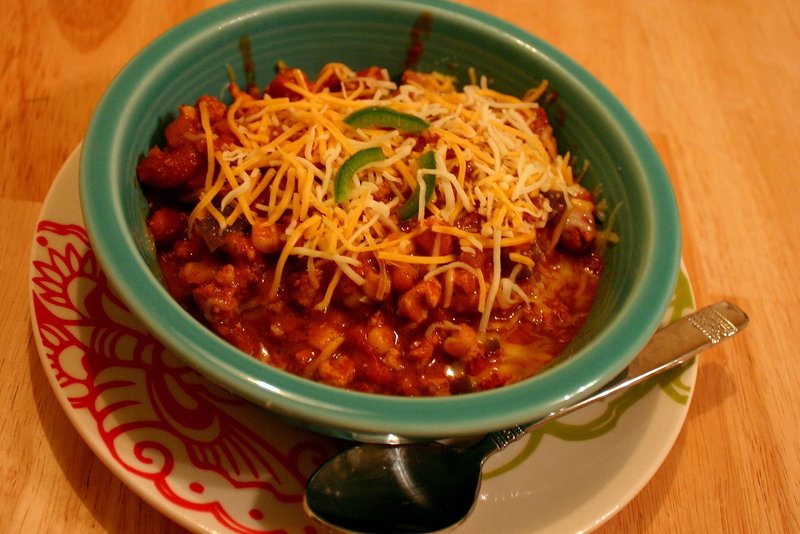 Have each couple bring a slow cooker with their favorite chili in it. Use a power strip to provide plug-ins for all the slow cookers. Since they use just a small amount of electricity, it should be fine. If someone absolutely will not bring chili, have them bring some extra beer. You provide crackers, corn muffins, tortilla chips, etc. to go with the chili. You can put out extras like shredded cheese, chopped onions, sliced black olives, red pepper flakes, hot sauce, sour cream, avocado chunks, etc. 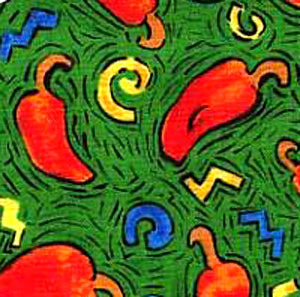 Vote for the best chili and award a prize if you like. Beer is always a good prize with chili around, but how about one of those cheap plastic small trophies from a party store? Add a label saying something like “Best Super Bowl Chili, 2014.” They might decide to display it on their desk at work! Or frame a certificate you make–you can get creative with this! Here are some good chili recipes to try. The first one is my family’s recipe. Feel free to tweak any of these to make it your own! Four Generation Family Chili This is practically our family’s signature recipe! We like it with tortilla chips, but you can serve it over a hot dog in a bun. Just add chopped onions and shredded cheese for a great chili dog! Skyline Chili The chili that made Cincinnati famous, well sort of. It has some surprising ingredients that no one will guess are in there. You make it in the slow cooker and serve over spaghetti noodles with lots of shredded cheese and some chopped onions on top. That’s traditional, but I like it on baked potatoes. Boilermaker Tailgate Chili This is the number one chili recipe on AllRecipes.com. It doesn’t look like much, but over 3,000 people can’t be wrong! Cha Cha’s White Chicken Chili This is a spicy chili that is kind of gourmet. Award-winning Steak Chili This one takes a little work, but the result is amazing. Thanks to GenXFinance for a great recipe and tutorial! Beer is a natural with chili, but you might like to try a few different brews and decide which ones go best with which chili. Or not. Enjoy a hot bowl of chili anytime during this cold weather we’re having to really warm up and feel the comforts of home. Click on any of the tags below this post for more Super Bowl recipes!